MANILA, Philippines - Habitual nuisance bet Daniel Magtira who claims to be Kris Aquino's husband is running again for senator in the May 2016 national elections. Magtira, 55, filed his certificate of candidacy (CoC) at the Commission on Elections (Comelec) main office on Monday morning, October 12, 2015. In a press conference, Magtira said that he will defend the Constitution and fight for equality. He even dedicated a song to the presidential sister. Magtira already ran for president in 2010 and 2004, and for senator in 2007 and 2001. The Comelec repeatedly disqualified him as a nuisance bet. Same with the previous elections, the Comelec will not junk his candidacy right away as required by law. “Filing a certificate of candidacy is a matter of right. They have the right to file. We cannot prevent them,” Sixto Brillantes Jr said in 2013 as Magtira was immediately tagged as nuisance. The Comelec will send notices to all candidates who appear “illegitimate,” and will subject them to a hearing within 10 days. 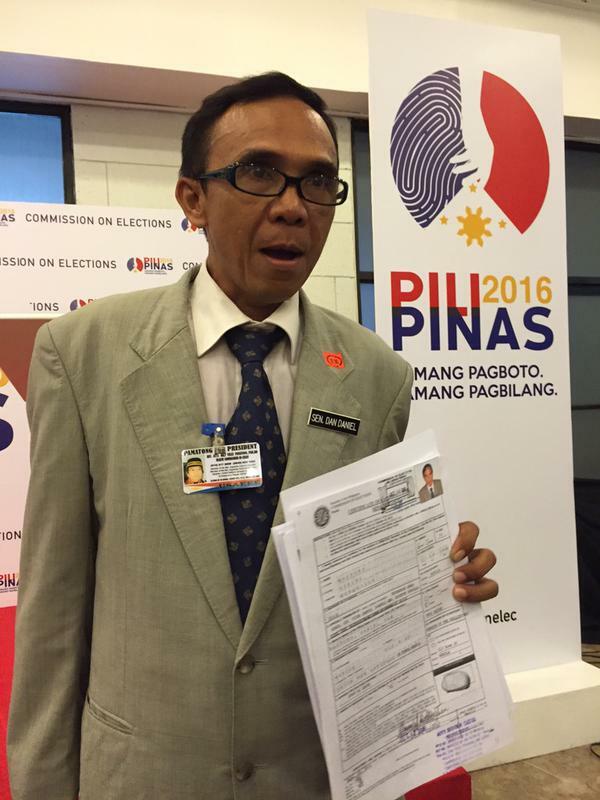 Magtira trended on microblogging site Monday as he filed his intention to run for senator. Do you think Magtira fits for the senatorial position?